Known as "Flor Que da Fulgor" in Latin Spanish. I was waiting for this. What are the lyrics? I can't hear well. volviendo a lo que fue. 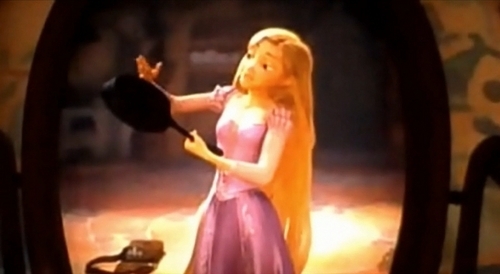 What other disney girl hits/says she hit someone with a frying pan?